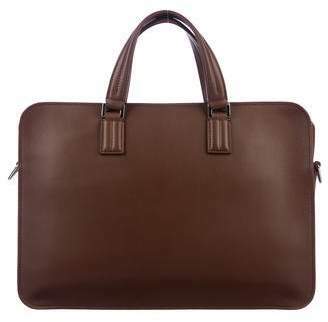 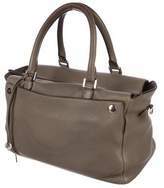 Taupe Soft Odessa leather Loro Piana bag with silver-tone hardware, mocha grained leather trim, dual rolled handles, single exterior sip pockets at front, tonal smooth leather lining, three pockets at interior walls; one with zip closure and zip closure at top. 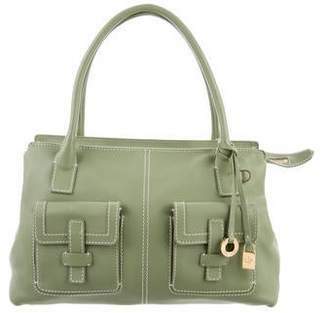 Includes tag and additional embellishments. 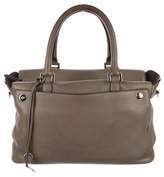 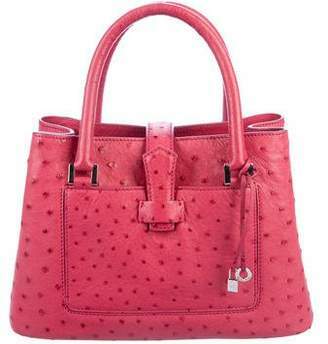 Shop authentic designer handbags by Loro Piana at The RealReal.